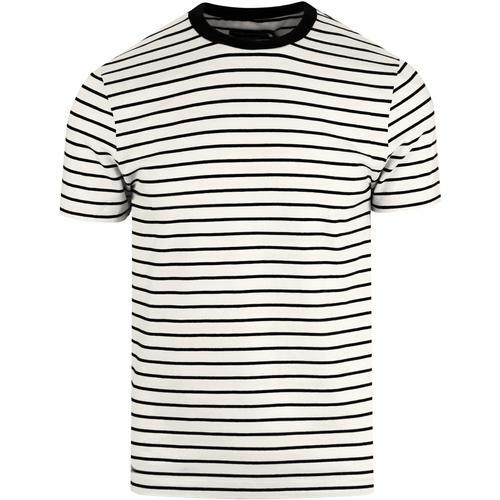 Lyle & Scott men's mod ringer stripe t-shirt in pink shadow. 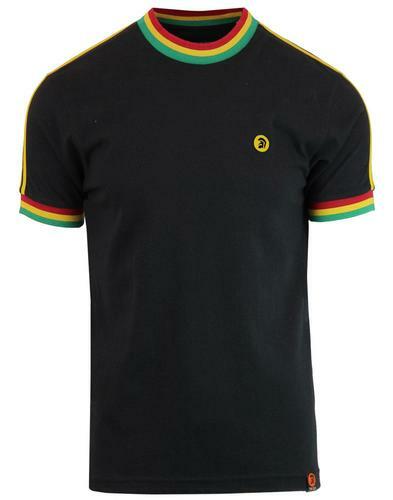 Classic retro ringer trims and stylish multi stripe details to the chest. 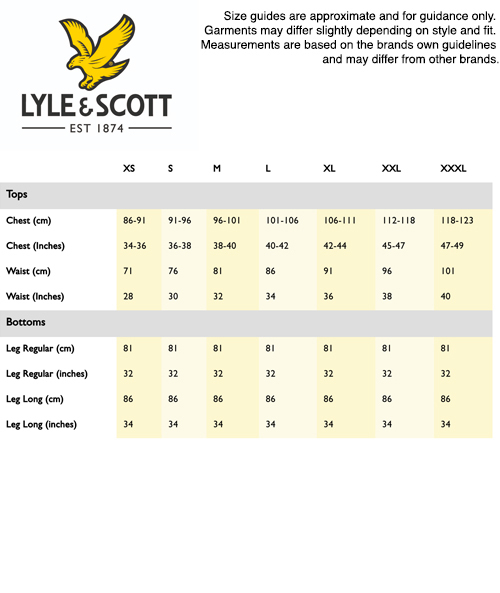 Finished with Lyle & Scott Golden eagle emblem to the chest. 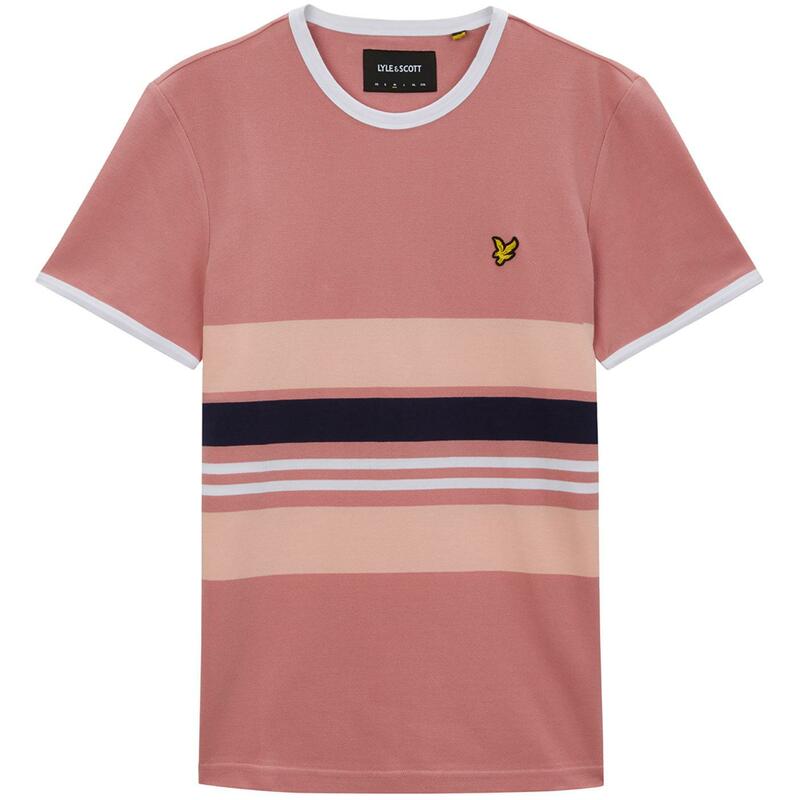 Lyle & Scott men's mod Pique stripe ringer t-shirt in pink shadow. 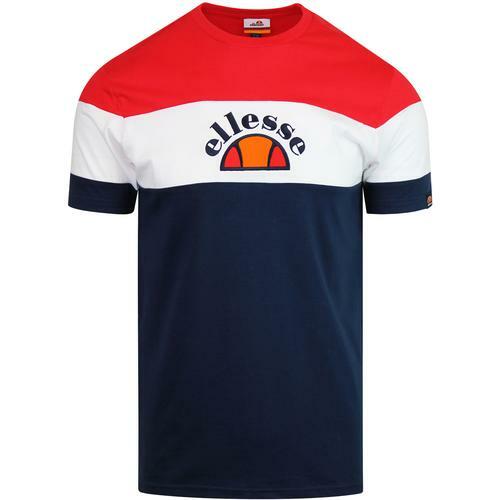 Navy retro ringer crew neck collar. 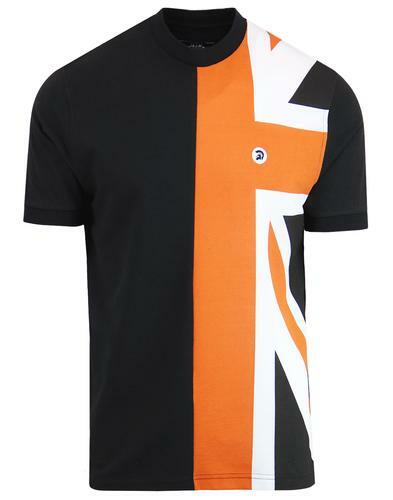 SKU: TS1007 Lyle & Scott Pique Stripe Ringer T-shirt.